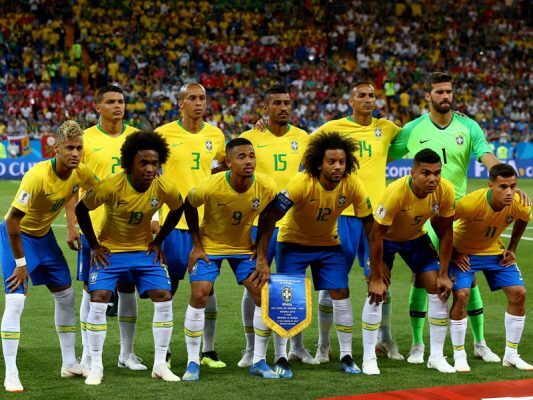 Initially struggling Brazil were down in sixth place with three games played – things turned around when Tite replaced Dunga as coach, Brazil eventually turned group winners. Brazil lead by Tite then put together 10 wins and two draws to seal their place at the 2018 World Cup with four rounds to spare. Brazil are seen as one of the favorites to win the tournament. However, question marks remain over the team’s temperament and psychology, particularly that of Neymar. Against Ecuador he was over-concerned with drawing fouls and a routine game became a tense occasion. He lost control, picked up a yellow card for a crude foul and missed four games through suspension. no doubt Brazil remains a top dog in the competion but Tite on the other hand needs to work on the teams psycology. Brazil is placed in Group E alongside tough to beat Switzerland, Costa Rica and Yong and vibrant Serbia. Brazil open their tournament with a though game against a stubborn Switzerland team on the 17th of June. Five days later they play Costa Rica, and then Serbia in subsequent five days. Coming into his peak years, Neymar is full of dazzling improvisation at pace and is a constant threat. Providing he can keep his head, this World Cup could be his tournament. Paulinho was a controversial recall, but Tite is well aware of his virtues from their time together at Corinthians. DEFENDERS: Danilo (Man City), Fagner (Corinthians), Marcelo (R. Madrid), Filipe Luis (Atletico Madrid), Thiago Silva (PSG), Marquinhos (PSG), Miranda (Inter Milan) Pedro Geromel (Gremio). MIDFIELDERS: Fernandinho (Man City), Paulinho (Barcelona), Renato Augusto (Beijing Guoan), Casemiro (R. Madrid), Philippe Coutinho (Barcelona), Willian (Chelsea), Douglas Costa (Juventus), Fred (Shakhtar Donetsk). Neymar fractured his metatarsal for Paris Saint Germain and it is questionable whether he will be 100% fit by June.